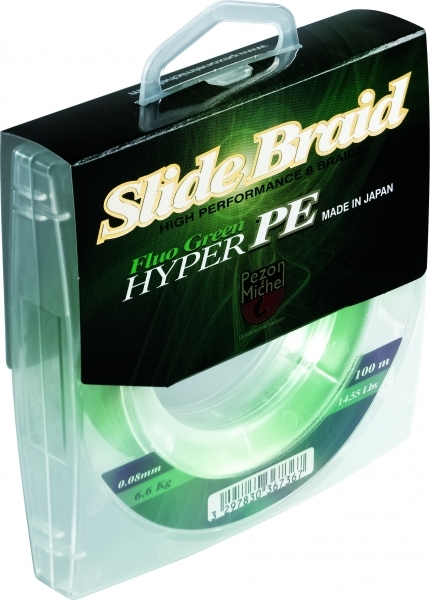 Green Fluo Slide Braid is a new generation Japanese braid constructed from 8 strands of polyethylene (PE) which have been woven using the latest technologies to produce a round profiled braid. Ultra soft on the touch this braid casts fantastically. Available in low diameters this braid will be a real plus for vertical fishing and ultra light applications where accuracy is vital. As seen on Perch Pro so don't be fooled by the low diameters this is a super strong braid with excellent abrasion resistance. Supplied in 100 metre spools.